"You never want a serious crisis to go to waste. And what I mean by that is an opportunity to do things you think you could not do before." Understandably so. The above statement reveals political opportunism at its worse. Although it is uncertain what type of crisis Emanuel was discussing, the right interpreted his comments to mean an Obama administration was hoping for tremendous failures so they can take advantage of the situation. Wonder why President-elect Obama resigned from the Senate so early (while Vice President-elect Joe Biden remains an active member) and is hanging back, not wading into the debate over bailouts etc, and naming candidates for nearly every Cabinet post save Treasury (the man or woman who will have $350 billion to dispense when he/she walks through the door)? Based upon what Emanuel is saying, the conclusion one might draw is that the Obama team wants the uncertainty this foments to fester and grow, thereby increasing the gravity of the crisis upon which the Administration then intends to capitalize. With all that being said, what would Motley, or any conservative pundit have to say for that matter, if the Republican presidential nominee made a similar, if not more specific statement? Well, Romney has made such a comment and the right-wing media is experiencing a case of amnesia in regards to their supposed principles. And yet, in that election, in the Jimmy Carter election, the fact that we had hostages in Iran, I mean, that was all we talked about. And we had the two helicopters crash in the desert, I mean, that was the focus, and so him [Reagan] solving that made all the difference in the world. I'm afraid today that if you simply got Iran to agree to stand down on nuclear weapons, they'd go, "Now hold on. It's really a -- " I mean, if something of that nature presents itself I will work to find a way to take advantage of the opportunity. Mitt Romney seemingly tells millionaire donors that he would take advantage of a situation like the 1979 hostage crisis, deeming such an event as an "opportunity," and he did. On September 11th, despite making a promise to not launch any negative attacks against the president, the protests at the consulate in Libya and the embassy in Egypt took place and Romney used the crisis as an opportunity to criticize the president, just as he said he would in that private meeting with wealthy donors. 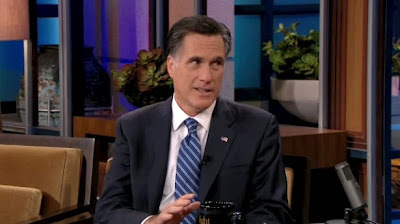 Conservative media was mixed over his attacks, with most rallying behind Romney in one form or another. For instance, not only did Newsbusters run a barrage of pro-Romney posts trying to downplay Romney's September 11th flub, they have also published numerous posts defending Romney over his secretly taped comments, believing the "liberal media looking for the tiniest little wart" on Romney "they can blow up into a giant cancer." Even "fair and balanced" Fox News buried the story Monday night. What is perhaps even funnier is that The Blaze attempted to discredit the entire video because of a recording error despite the fact that Mitt Romney himself has stood by the comments that were seen in the video released. James O'Keefe has even crawled out of his hole criticizing the "full video," as if he was one to talk, and Breitbart's Big Journalism cried about "the hypocrisy of the mainstream media in accepting, without question, a snippet of a video recording that aimed to portray a Republican in a bad light, while conservatives are still doubted even after providing full video or audio, as O'Keefe did with his famous ACORN tapes." That take is a bit delusional considering the media did accept without question the highly edited videos O'Keefe released that led to the defunding and dismantling of ACORN. I would think a closer comparison would be the Shirley Sherrod debacle, in which Andrew Breitbart released an edited video of a Sherrod speech, but even then Sherrod never admitted to what the tapes displayed like Romney has just done, and even then, the rest of the video still stands in full context. Essentially, the conservative media is retreating to their overused playbook of claiming to be the victim and then attempting to force the rest of the media to apologize for reporting on something that negatively portrays a conservative figure. The facts are Romney made statements regarding his beliefs to a crowd of millionaires when he didn't think the rest of the nation would hear, and when they did, instead of attacking the media for twisting his words, he admitted to saying those things and then proceeded to double down on them. I can almost guarantee the conservative media won't discuss one bit Romney's statements regarding the capitalization of a crisis, partly because they are too busy running defense over Romney's "47 percent" comments, but also in part because they don't want to relive the nightmare of Romney's September 11th statements and subsequent flip-flops. Now if only one of Romney's aides can convince the candidate to shut up and lay low for a little bit, or at least until another crisis presents itself. Then the whole cycle will repeat. Considering the similarities between the statements of Mitt Romney and Rahm Emanuel, if Romney were a liberal, I would almost certainly guarantee the likes of Fox News would start calling him "Mitt Rahm-ney." Update - It appears the plan from the Romney camp is to claim the video has been debunked (despite Romney initially agreeing with the entire release), attempt to reassure Americans that what he said in the video was simply not true and that while he will say different things to different people to get elected, and then flood the market with Romney appearances in hopes to drown out the negative press from the disastrous secret video. Romney was drilled by Univision's Jorge Ramos and Maria Elena Salinas during their "Meet the Candidate" forum, co-hosted by Facebook at the University of Miami. "My campaign is about the 100 percent of America, and I'm concerned about them," he said. "I know I'm not going to get 100 percent of the vote, and my campaign will focus on those people we can think we can bring in to support me, but this is a campaign about helping people that need help." "And right now the people who are poor in this country need help getting out of poverty," he continued. "The people in the middle class need help because their incomes have gone down every year over the last four years." This is a big leap from his secretly recorded statements regarding 47 percent of the nation when he said it was "not [his] job" to "worry about those people. I'll never convince them they should take personal responsibility and care for their lives." Romney is also being duplicitous, both criticizing Americans for not making enough to pay federal income taxes and for making their income has stagnated each year while wealthy Americans have seen their income increase. Romney had also gone on to insult those people for what he insisted was their feeling that "they are entitled to health care, to food, to housing." Romney even pushed his wife Ann out there, sparingly of course (so people would not get tired of her or attack her). "He wants to make sure to bring better opportunities for everyone," she said. "I know the guy, I know him really well, I know he cares. That's why he's running. It's unfortunate when something gets misinterpreted like this, when it gets taken out of context." Her comments are puzzling considering after the release her husband stood by those comments in their entirety (so there was no chance of them being taken out of context) and he reiterated the points he made in the video. It just seems that Romney and his campaign are in damage control overdrive. Let's just see if he can avoid any major gaffes while trying to sweep away his last few gaffes. I see now Mitt Romney and the right-wing media are focusing on a 14 year old video of Obama desperately trying to change the subject. I am not sure the shift will hold ouside the GOP base when considering Romney's comments alongside Obama's.